A parliamentary report of 1777 recorded parish workhouses in operation at Beachworth [Betchworth] (for up to 30 inmates), Burstow (15), Chaldon (12), Reigate Borough (30), and Reigate Foreign (40). Buckland's parish workhouse stood on Lawrence Lane in what is now Orchard Farm Cottages. Former Buckland parish workhouse, 2004. Reigate Borough set up a workhouse in 1730 on Park Lane. Another workhouse was established around the same date for the Foreign [rural part] of Reigate Borough at Shaw's Corner on what is now Hatchlands Road, Redhill. 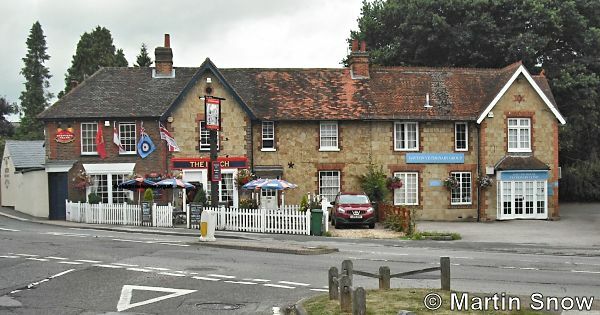 The latter building survives as the rear part of The Hatch pub (formerly The Foresters' Arms) and an adjacent veterinary surgeon's. The Poor of the united parishes of Reigate, Buckland, Nutfield, Headley and Horley are maintained in a House of Industry, under Gilbert's Act, by a contractor, who receives £930 a year, and the profits of their labour. £1,000 was spent in building the house and the purchase of 10 acres of garden. Table of diet: Breakfast—every day, water gruel with pottage, or broth and bread. Dinner—Sunday, Tuesday, Thursday, ox beef or mutton, with pease or other vegetables, bread and small beer; Monday, Saturday, stewed ox cheek or legs or shins of beef with small beer; Wednesday, Friday, suet pudding or rice milk, sweetened with sugar, and small beer. Supper—every day, bread and cheese or bread and butter and small beer. One pint of beer is allowed for adults, and a discretionary allowance for children. Before the establishment of the House of Industry the Poor were maintained in the parish Workhouse. The contractor is bound to allow 1s. 6d. a week to such Out-Poor as the magistrates think ought to be relieved at home. The expenditure on the Poor in Reigate borough is about £300 a year, and in Reigate foreign £692. The rate in the borough is about 5s. 8d., and in the foreign 4s. till 1795, when on a new valuation it was reduced to 3s. County of Surrey: Betchworth (2), Buckland, Burstow, Chaldon, Charlwood (2), Chipstead, Gatton, Headley, Horley (2), King's Wood Liberty, Leigh, Merstham, Nutfield, Reigate Borough (3), Reigate Foreign (2), Walton-on-the-Hill. The population falling within the Union in 1831 had been 11,497 with parishes ranging in size from Gatton (population 145) to Reigate Foreign (1,419). The average expenditure on poor relief for the years 1833-5 had been £9,069 or 15s.9d. per head of the population. 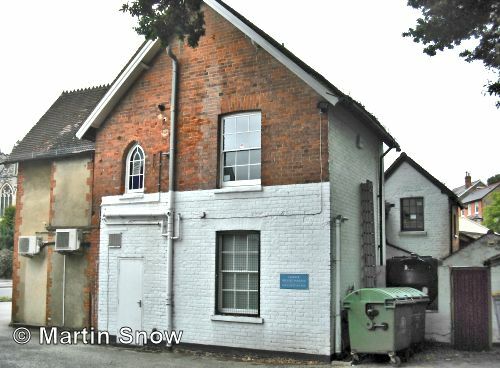 The new Reigate Union continued using the existing Gilbert Union workhouse on Pendleton Road (then known as Union Road). 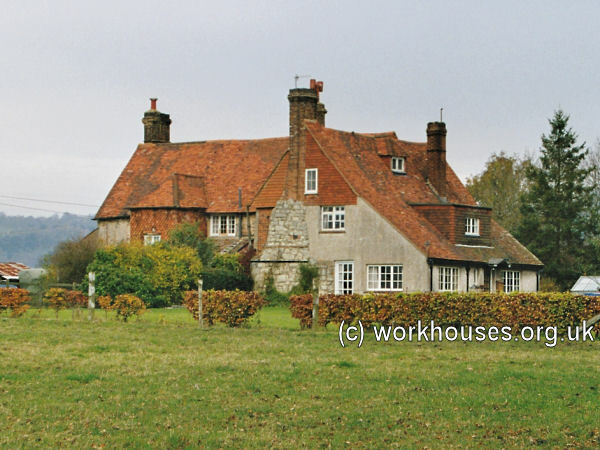 The buildings had a courtyard plan with some similarities to those at Hambledon and Farnham. The workhouse location and layout are shown on the 1913 map below. Reigate Union workhouse site, Union (now Pendleton) Road, Earlswood Common, Redhill, 1913. Reigate lodge from the north-west, 2001. Reigate western blocks from the north-east, 2001. An infirmary was erected in in 1915-16 at the east of the site. Like the main workhouse block, it no longer exists. In 1930, the workhouse was taken over by Surrey County Council and became a Public Assistance Institution. 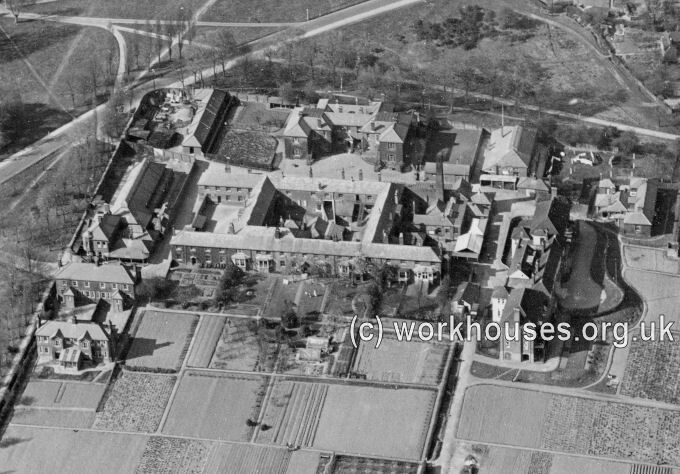 In October 1936, the workhouse site became Redhill County Hospital. The existing Public Assistance inmates were then transferred to a new location known as St Anne's, Redhill — built in 1884 to accommodate the schools of the Royal Asylum of St Anne's, and later the home of the Foundling Hospital schools. The St Anne's site later became an old people's home. Redhill County Hospital, later renamed Redhill General Hospital, closed in 1991 and the site was redeveloped for residential use (now known as Abinger Drive) with most of the old workhouse/hospital buildings being demolished. 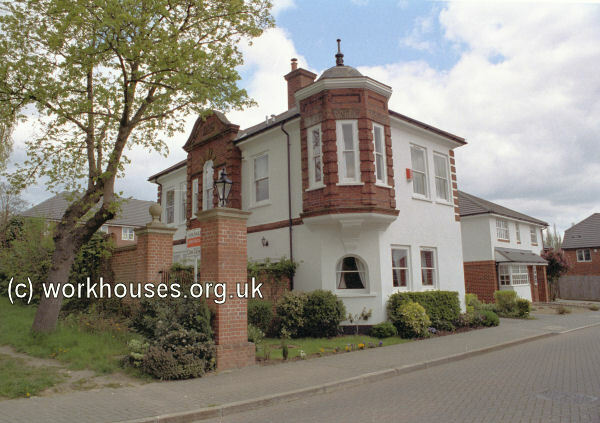 By the early 1900s, the Reigate Union had established a children's cottage home at 25-27 Hardwick Road, Meadvale, Redhill. In 1908, it could accommodate 15 boys and 15 girls. Surrey History Centre, 130 Goldsworth Road, Woking, Surrey GU21 6ND. Holdings include Guardians' minutes (1836-1930); Births (1836-48); Register of pauper admissions (1911-29); etc. History of the St Anne's site from Alan Moore's History of Redhill and Reigate. Thanks to Martin Snow for pictures and information on The Hatch workhouse.